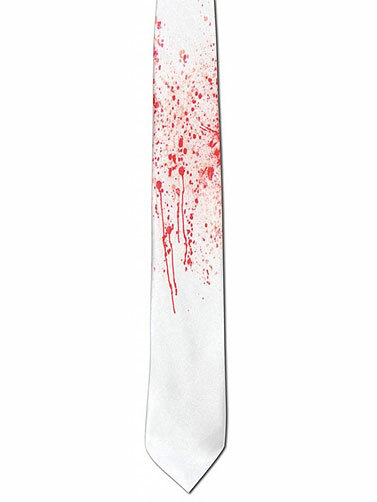 You will be killer dressed when you sport this narrow white satin tie, prestained with a red blood splattered look. 100% Polyester. One size fits most. 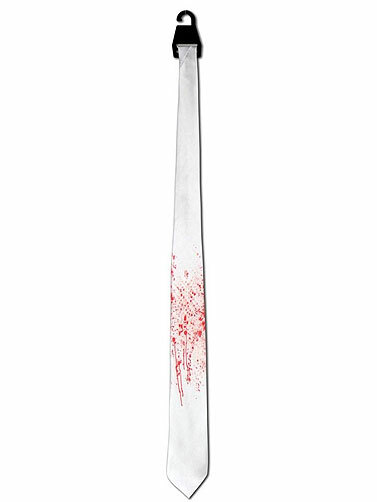 Blood Splatter Tie measures 54''L x 2.75'' at widest point.